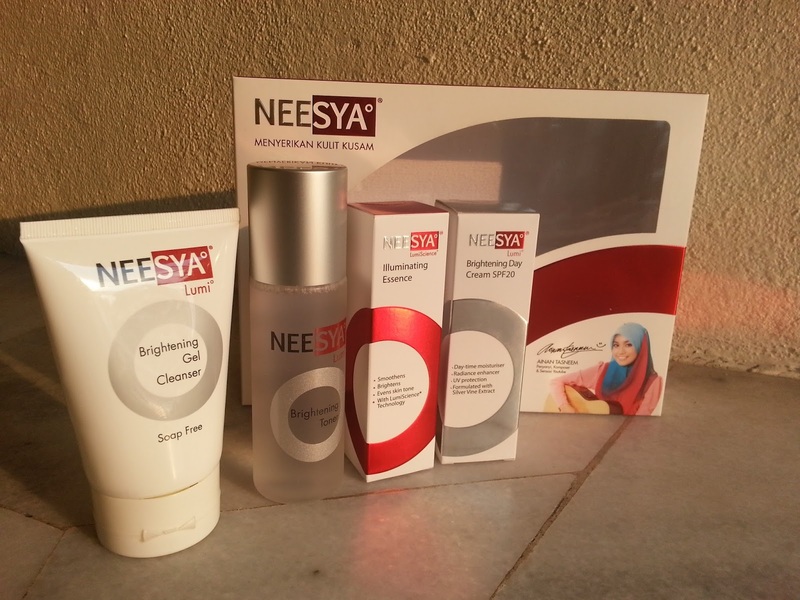 Of course, beauty has always been a BIG issues to us ladies, so I turned to NEESYA for urgent SOS. 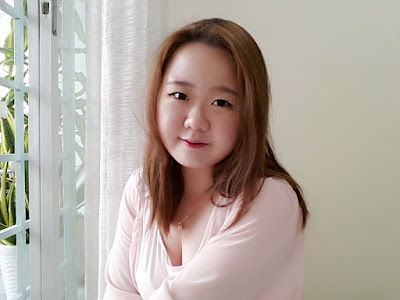 NEESYA has been in my skin care bucket list since 2015 and I have reviewed a number of their products; from Eyes and Lips makeup removers, Enzymatic Refiner and Overnight Mask to Hydrating Serum and Moisturizer. If you are interested to find out more, scroll over those links and click in! 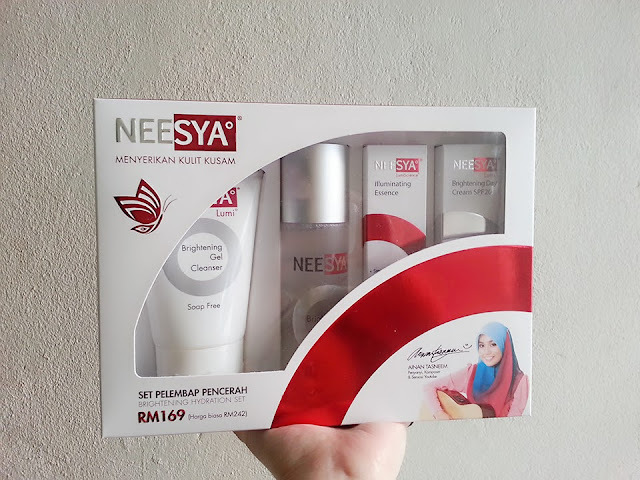 Today, I will be introducing the NEESYA Brightening Hydration Set! 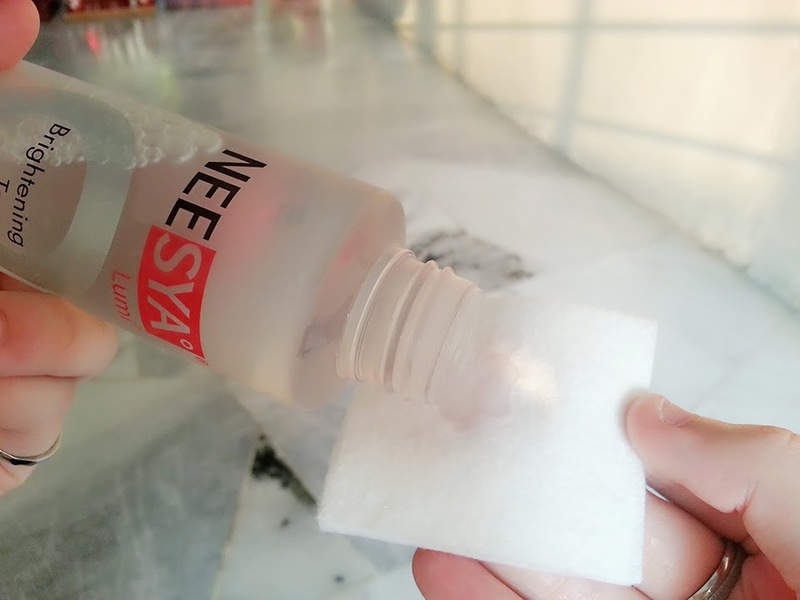 NEESYA products came in loose pack in the past, whereby you purchase the items individually. I can't tell you how excited I am when they finally come out with the Brightening Hydration Set, featuring all their best seller products which makes a great starter kit! 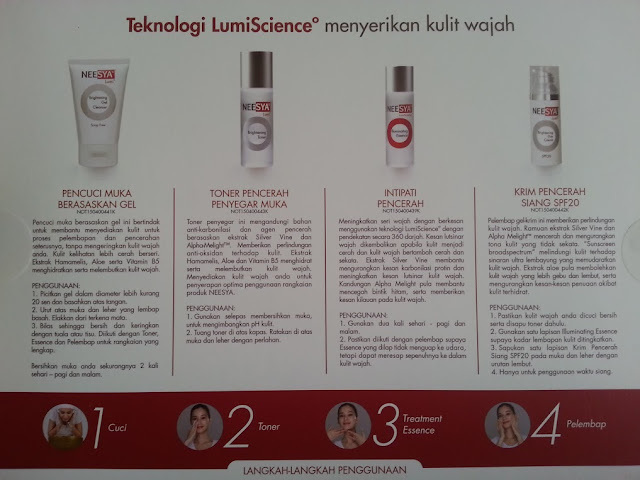 Introduction and Usage Directions of the 4 products are clearly illustrated on the back of the box. 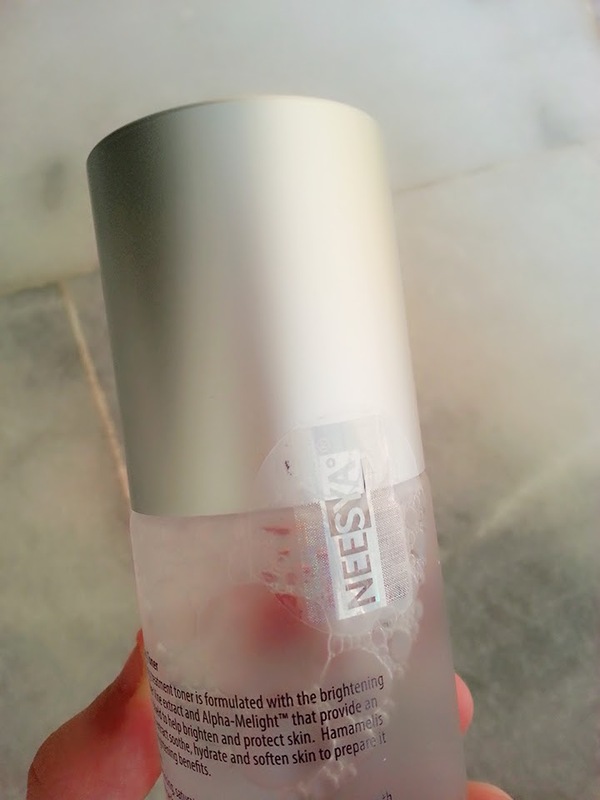 Each and every product of NEESYA is sealed with a holographic tag. This is to ensure that the products are not tampered and safe to use. They are also Paraben Free, SIRIM, Standards Malaysia, GMP and Malaysia HALAL certified. As you can see, the NEESYA Lumi Brightening Gel Cleanser is Soap-Free, meaning you won't be expecting much foam or numerous rounds of face rinsing procedures. Total Soap-Free even with multiple attempts of lathering. The intention is to help prepare skin to receive maximum moisture and brightening effects with the NEESYA skin care range by removing surface impurities without stripping the skin essential moisture, one very common effect most soapy face soap or body shampoo gives. 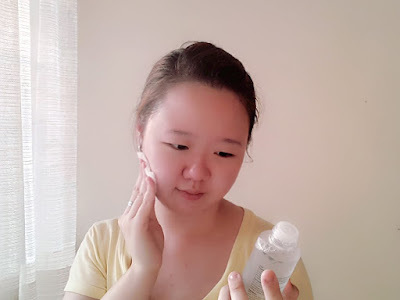 It is also less irritable to sensitive skin, so generally suitable for all skin types. Formulated with Silver Vine Extract and Alpha-Melight for brightening, anti-inflammatory and soothing effects, AcquaBiomin Gem Blend for skin radiance while extract of Hamamelis (Witch Hazel), Aloe Vera and Vitamin B5 hydrates and soften the skin. 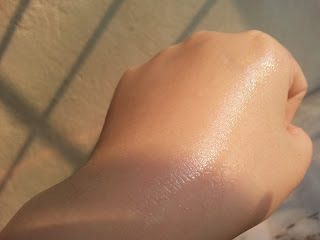 The soap texture is intermediate, not too thick yet pretty runny which could be slightly messy to handle. Remember to open the cap UPWARDS before squeezing out the soap. Failure to do so may result in unnecessary dripping and product wastage. Instructions: 1. Squeeze gel of an estimation 20 cent size and mix with little water. 2. Massage gently onto damp face and neck avoiding eyes. 3. Rinse off, followed by toner and moisturizer. I guessed the common expectation we have about toners are the alcohol contents. Surprisingly, NEESYA Lumi Brightening Toner is different. The alcohol absence omits drying of the skin, with promising benefits of anti-oxidants shield and skin brightening. Key Ingredients : Silver Vine Extract, Alpha-Melight, AcquaBiomin Gem Blend, extract of Hamamelis (Witch Hazel), Aloe Vera and Vitamin B5. Instructions: Saturate a cotton pad with toner, apply over face and neck after each cleansing. 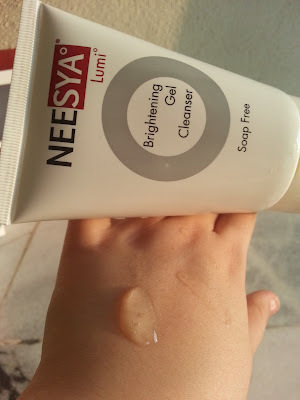 NEESYA Lumi Brightening Toner is very gentle to my face without any stinging sensation felt. 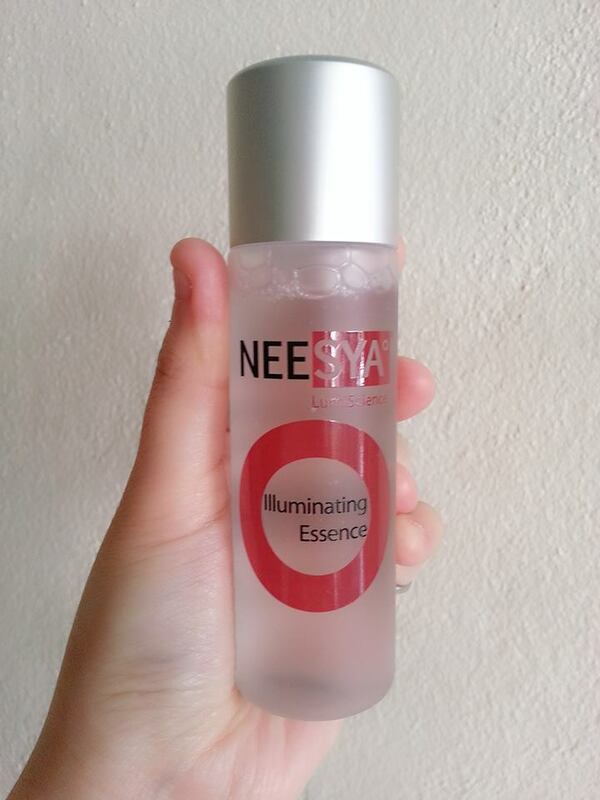 The fragrance is mild (reminds me of baby shampoo <3), almost similar to NEESYA LumiScience Illuminating Essence's. They are currently having an April promotion! 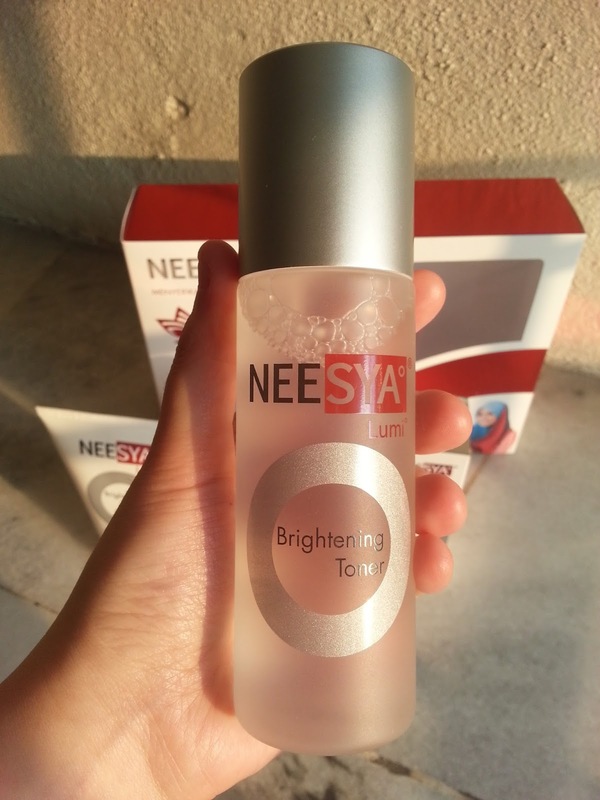 Get your first bottle of NEESYA Lumi Brightening Toner at RM45 and the second at RM22.50! I actually did a review on this before (Link) and by far, has been my top favorite product of NEESYA. Not going to elaborate alot on this as you can read my review from the link, but what I love about this product is there is no adverse reaction after using it for so long and it comes with a pleasant smell. Most importantly, it keeps my skin supple, with reduced pores visibility. Instructions: 1. Pour 4-5 drops on palm and spread over face and neck after cleansing and toning. 2. Tap until fully absorbed, followed by moisturizer or face cream. Instructions: Apply a smooth even layer of Brightening Day Cream over face and neck in smooth strokes after LumiScience Illuminating Essence or Hydrating Serum. Key Ingredients : Silver Vine Extract, Alpha-Melight, AcquaBiomin Gem Blend, Broadspectrum sunscreen formula with hyaluronic acid, sodium lactate and aloe vera extracts. Overall, the set comes very handy and suits our hot and humid climax. 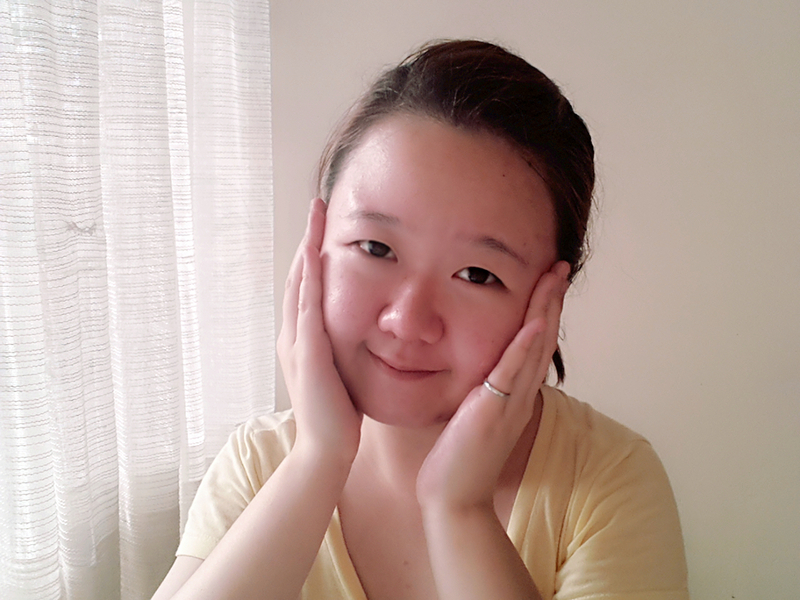 Of course, everyone have different outcome with the different products, so it's up to you to discover what is best. I still highly recommend the Brightening Toner and Illuminating Essence as my skin is more hydrated and more pores are less visible. 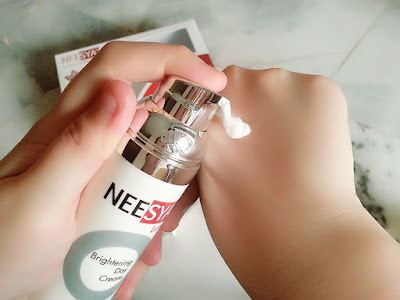 The combination use of NEESYA Brightening Hydration Set has effectively brighten up my skin by one tone! This Brightening Hydration Set comes at a very attractive price, 4 products for only RM169! If you calculate value per product, this set definitely worth more! NEESYA LumiScience are available at outlets in Subang Parade, SACC Mall, Plaza Metro Kajang, The Mines and selected Watsons outlets.